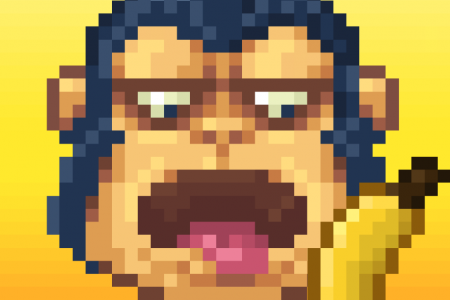 Bananamania is an oldshool platformer game where you need to feed the gorillas by throwing them bananas. Dozens of different levels, classic 8bit graphics ans sounds are waiting for you. How skillful are you at throwing bananas? Play Bananamania and you will find out. Play Bananamania online for free and enjoy! Click on the left button of the mouse to throw bananas at the right time.